A credentialed Developmental Therapist holds a bachelor’s degree or higher in Early Childhood Education, Early Childhood Special Education, Special Education, Special Education: Deaf/Hard of Hearing or Blind/Partially Sighted, Child Development, Early Intervention, Elementary Education or from an EI approved college/university program (i.e., a program for which the Department or its designee has determined that the degree is equivalent to one of the above stated degrees); and can document the completion of educational experiences as approved by the Department that include at least 2 semester college hours or the equivalent (30 clock hours or CEU credit hours) in each of the following core knowledge content areas: the Development of Young Children; Typical and Atypical; Working with Families of Young Children with Disabilities; Intervention Strategies for Young Children with Special Needs; and Assessment of Young Children with Special Needs; and can submit proof of training on the use of a formal assessment tool that would allow the provider to perform global evaluations/assessments. A Developmental Therapist/Vision (DTV) is an educator who works to help a child learn and develop in spite of an identified visual impairment. A DTV holds a bachelor’s degree or higher in Education for the Blind and Partially Sighted. He/She has also gone through additional training to add the early intervention credential to his/her expertise. This individual can receive authorizations under the service types Vision or Developmental Therapy. The DTV looks at the child’s skill levels and works to move him/her forward in all areas of development. 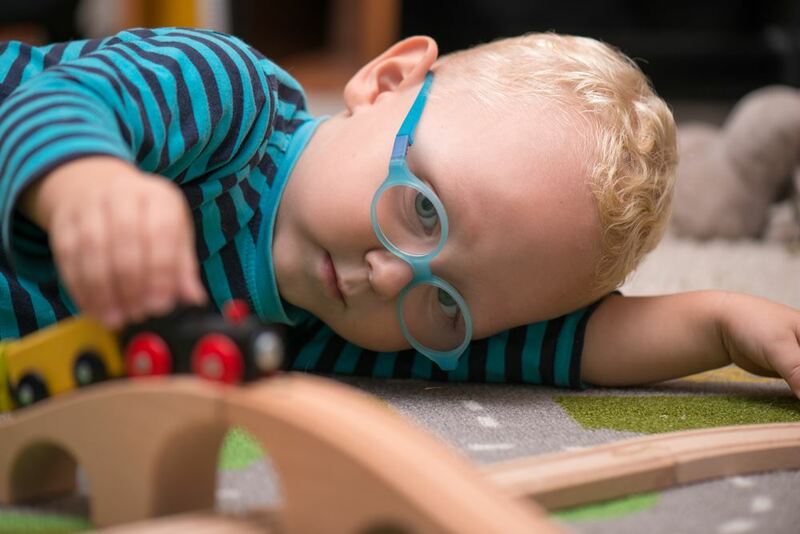 They are not trying to improve vision; instead they are helping the family find ways to effectively teach the child about his world in spite of the child’s visual loss. For example, literacy for a child who is blind or visually impaired must be approached in a totally different manner than with a child who has normal vision. A DTV helps families find resources related to their child’s visual condition and will spend time helping the family understand the visual diagnosis and prognosis. It is important for families to understand that a Developmental Therapist Vision is NOT a Vision Therapist. Vision therapy is a medical procedure and is not paid for by Early Intervention. Vision Therapy describes a service used primarily by optometrists to treat conditions of children or adults who typically have normal visual acuity and field but problems using their vision. The article entitled “A DTV is NOT a Vision Therapist” is available to further describe this difference. A credentialed Developmental Therapist/Hearing (DTH) is an educator with a degree in Special Education/Deaf and Hard of Hearing and receives authorizations under the service types Aural Rehabilitation and Developmental Therapy. As Aural Rehabilitation providers, DTHs address outcomes related to information on hearing loss, amplification options, literacy, language acquisition, and communication methodologies and modes. DTHs, speech therapists and audiologists can all be authorized to provide aural rehabilitation services although aural rehabilitation services are most often provided by a DTH. A Developmental Therapist Orientation and Mobility (DTO&M) is a specialist in the field of blindness who holds a master’s degree in Orientation and Mobility. This person has met additional requirements allowing them to obtain an early intervention credential. O&M describes a discipline which focuses specifically on safe travel and spatial awareness for persons with a visual impairment. When dealing with infants and toddlers, the DTO&M will focus on body awareness, spatial understanding, and travel. Many toddlers with a visual impairment will reach an ability level in which pre-cane devices and travel techniques become necessary. 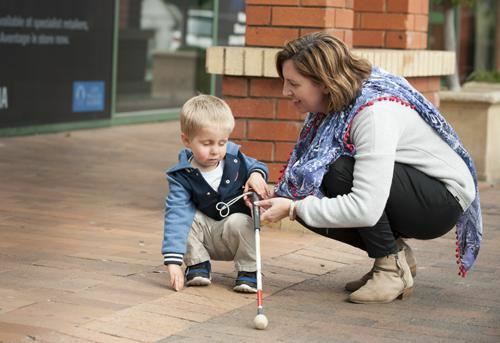 This could potentially graduate to the need for training in beginning skills for white cane use for older toddlers. It is very important that a child learn correct travel techniques from the beginning. Improper or unsafe habits are almost impossible to correct once they are formed.